CBS News has learned the Senate Armed Services Committee has requested a new investigation into the multi-billion dollar military contractor Kellogg Brown and Root (KBR). The investigation request is based on accusations from a retired Army official who managed the contractor's work in Iraq. Chairman Carl Levin (D-MI) and ranking Republican Senator John McCain (R-AZ) sent a joint letter to the Department of Defense Inspector General on December 12, 2008 requesting the new investigation based on claims by former Army civilian Charles M. Smith who worked out of the Army's Rock Island Arsenal in Illinois. In an interview with CBS News, Smith said after he raised serious concerns about KBR's accounting of billions in taxpayer dollars, he was removed from the project. "The basic situation was that the army through [the Defense Contract Audit Agency] thought the contractor had proposed at least a billion dollars in costs which they could not support," Smith told CBS. Smith said the company was not performing as he believed it should, "Why we couldn't get that performance, I do not know, but we didn't get the performance that I thought we had the right to expect," he said. Smith said one of the main points of contention was related to $200 million in costs which he says KBR could not justify for troop dining facilities. He said in August 2004, as he was moving to sanction KBR, a general told him not to withhold any money from the contractor. Smith says within hours he was told that he "was no longer a part of the program." Smith said after he was removed, the Army outsourced the management of the KBR contract. In a previous interview with the New York Times, the executive director of the Army Contracting Command said the military was not willing to withold money from KBR out of fear that the company would in turn reduce its level of support for the troops in Iraq. A spokesperson for Army Contracting Command told CBS they will cooperate with any new Pentagon Inspector General investigation. KBR spokeswoman Heather Browne sent CBS a statement in response saying that KBR will cooperate with any government investigation, "KBR remains committed to providing high-quality service to our customer and conducting our business with ethics and integrity. The company in no way condones or tolerates anything to the contrary. When questions have been raised about our work, we have fully cooperated with the government in providing information requested of us." KBR was awarded the Logisitics Civil Augmentation Program or LOGCAP contract to run logistics support, food and shelter for soldiers in Iraq. 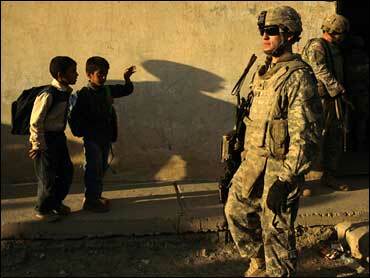 KBR has won military contracts from the US military valued at over $28 billion since the beginning of the Iraq war.